Periodic roof cleaning may be needed to remove any algae or moss. There are cleaning solutions that can be applied and then removed, with the moss, at a later date. This should not be done using soft washing so as to protect the granules in the shingles. Reasons to clean your roof. Longevity: Moss and stain infested roofs will lose as much as 50% of their service life from microorganisms. A clean roof will last longer and save property owners thousands of dollars on service and replacement costs. Energy Savings: Cleaning your stained roof will save you money on your monthly cooling costs. Stained roofs are darker in color and attract significantly more sunlight than clean roofs. Increased amounts of sunlight on your roof will cause your roof to age prematurely, as excess heat builds up in your attic. Consequently, a clean roof will reduce cooling costs and keep your attic better ventilated. Curb Appeal: A clean roof will keep your home looking great and increase the property value of your home. Additionally, cleaning your roof is far more economical and efficient than replacing it entirely. 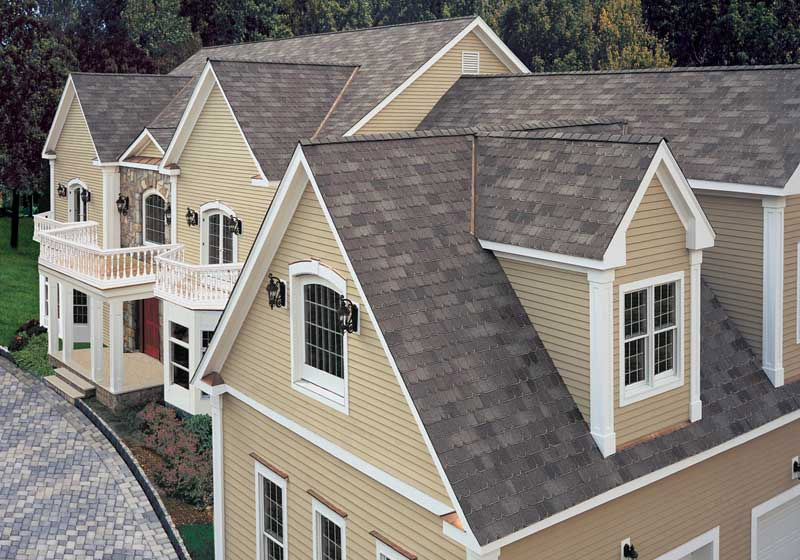 Shingle Manufacturer’s Warranty: Most shingle manufacturers require property owners to provide adequate maintenance to their roofs in order to maintain their manufacturer’s warranty. Algae growth, staining and any other type of bacterial or fungal infestations are required to be cleaned or removed from the shingles in order to maintain their issued warranties. Verify your downspouts are connected to a gutter below. Inspect your exterior walls for leaks and staining. Check for signs of leaks or deterioration on your interior roof deck. Clear all gutters, downspouts, scuppers. Clean out drains and verify drains are working properly. Remove all debris. Safety must be the first priority when working on a roof. Observe every necessary precaution, safety guideline, and safe work practice. The best option is to contact your roofing professional. Do take care of what you already have. If you allow deterioration to continue, repair costs will do nothing but increase over time. Do remove extra tree limbs around your roof if they are creating a lot of shade; this increases mold growth. Don’t allow roof debris to accumulate, such as leaves or pine needles. Algae and Mold grow on roofs in humid climates, especially in areas with a lot of debris. You can remove the debris by gently sweeping the roof or using a leaf blower or a similar non-abrasive method. DO NOT PRESSURE WASH your roof. Pressure washing roofs can blow off the granules that are there to protect the asphalt in the shingle from the UV rays of the sun. A lot of missing granules is a sign that it is time to replace your roof, and you will lose your warranty. Be careful with using acids to remove moss. If your acidic mixture is too strong or stays on the roof too long, it can eat away at the shingles. If your roof cleaning solution has not been tested previously, make sure you test it on some spare shingles before applying it to your roof. Do not scrape the mold or algae off of the roof. This can rip, crack, and break the asphalt shingles themselves. If any water is used to remove the moss, do not spray the water at an upward angle. If you do, this can cause water to go under the shingles and leak into the house or rot the wood decking of the roof. Do not leave the mold or algae on the roof. As the mold thickens and grows on an asphalt shingle roof it can raise the shingles up (much like a jack under a car). When the shingles get risen it allows water to go under the shingles causing the decking to rot and causing the roof to leak. The raised shingles also pose problems when heavy winds are present because they will catch the wind like a sail and this can cause shingles to be torn/blown off the roof. Do not work on a roof without another person present.